Moths are sometimes mistaken to be butterflies because of the similarities in some species. Although, Moths are related to butterflies, there are some distinct differences between the two. Moths belong to the Order of Lepidoptera, which is the same scienfifically classifed Order as the Butterfly. There are appoximately 160,000 species of moth in the world. Most species of moth are nocturnal and only come out at night, while butterflies are mostly diurnal and can be seen mostly in the daytime. Some moths, particularly their caterpillars, can be a major agricultural pest in many parts of the world. Despite being notorious for eating clothing, most moth adults do not eat at all since since they don't have mouth parts; instead, these moths drink nectar like most butterflies. Many of the larvae do eat fabric such as clothes and blankets made from natural wool or silk fibers. The larvae of some moths are farmed for their economic value. The most notable is the Silkworm, which is the larva of the Bombyx mori. It is farmed for the silk from its cocoon and is a major agricultural industry. The larvae of many species are also used as food in some countries, particularly in Africa, where they are an important source of nutrition. There are many ways that can help identify a moth and distinguish it from a butterfly. Butterflies are typically larger in size and have more colorful patterns on their wings. Moths are typically smaller sized with more plain or drab-colored wings. Moths tend to hold their wings in a tent-like manner that hides their abdomen. Butterflies tend to fold their wings vertically up over their backs. Moths also have a wing-coupling mechanism called a frenulum, which butterflies do not have. 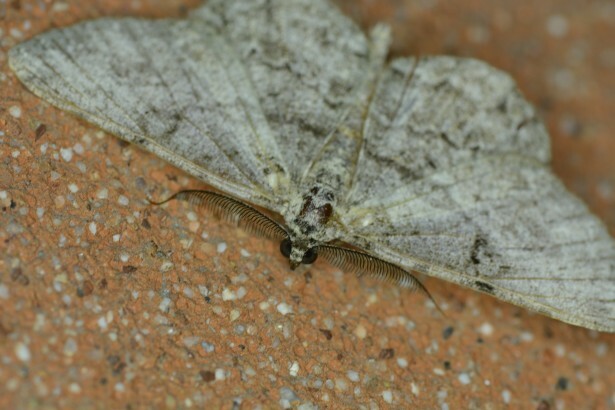 A moth has an antennae that is feathery or saw-edged. A Buttefly's antennae are more club-shaped and have a long shaft and bulb at the end. Moths are primarily nocturnal and only tend to fly around only at night, although some are seen in the daytime. Butterflies are primarly diurnal and tend to come out only in the day, however there are some species seen flying near dawn and dusk. The Cocoon and the Chyrsalis is a protective covering for the pupa. The pupa is the intermediate stage between the larva and adult. A moth makes a cocoon, which is wrapped in a silk covering. A butterfly makes a chrysalis, which is hard, smooth and has no silk covering. Some species of moths closely resemble butterflies in appearance. The Urania leilus, is a colorful day flying moth from Peru. The Castinoidea moths, found in Indonesia and Australia have brightly colored wings, clubbed antenna, and also out in the daytime. There are many more species of Moth in the world than Butterfly. Butterflies and moths are both part of the Lepidoptera order. 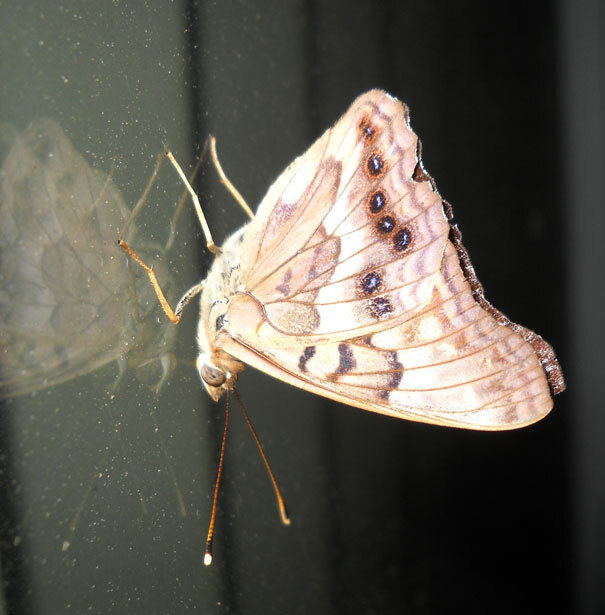 Moths make up around 90 percent of the Lepidoptera order, while butterflies and skippers make up about 10 percent. Both the butterfly and the moth are holometabolous, meaning that they undergo a complete metamorphosis from egg to caterpillar, to cocoon or chrysalis to fully formed adult. The smallest known moths are from the pygmy moth family (Nepticulidae) with wingspans as small as 3/32 of an inch. The largest known moths are the Atlas moths (Saturniidae) with wingspans as large as 12 inches. Mythology and Folk-lore about Moths and Moth Symbolism.